A priest friend of mine narrated an incident that took place just a few weeks ago. He was invited to grace a multicultural event, which was showcasing the diverse cultural talents of the multi-national workforce. My friend noted, that this colourful event somehow reminded him of the local Catholic Church. During the event, there was a quiz, and a Pakistani man was asked a question pertaining to his country. “What is the capital of Pakistan?” His confident and immediate answer was, “P!” (The capital letter “P”). Another worker, who hailed from Vietnam was asked to say something in his native language; and he proudly pronounced, “Việt Nam”. If you found that amusing, I’m not sure if you would find the following amusing though. If someone were to ask you, “What does ‘Catholic’ mean?” Perhaps, you may give this answer, “Diversity” or “Inclusivity.” Perhaps, you may not find this funny, but theologically, it is hilarious (at least to me), because “catholicity”, “diversity” and “inclusivity” mean different things. In fact, one may say that the two popular values of modern society, “diversity” and “inclusivity” are actually polar opposites. Diversity means one size does not fit all; inclusion, on the other hand, means one size fits all. Diversity means we are allowed to shop around; inclusion means that there are no exceptions. One cannot logically support both at the same time. We have to choose. Either we believe in pluralism, which is what diversity means, or we believe in uniformity, which is what inclusion means. There are plenty of good reasons to support diversity and inclusion within the context of any society, including the Church. But being Catholic is something quite different. Catholicity is what holds together the polarities of diversity and unity. Notice, that in our Creed, we profess that we believe in the “One, Holy, Catholic and Apostolic Church” and not in a “diverse” or “inclusive” Church. Is there a difference? Yes, many! St Cyril of Jerusalem, from the 4th century, in his Mystagogical Catechesis (No. 18), dedicates an entire paragraph to explaining explicitly the meaning of the third mark of the church. According to St Cyril, catholicity means: first, the worldwide expansion of the church; secondly, the universality of the teaching: the church teaches everything that is necessary for salvation; thirdly, the correct way of venerating God, which is valid for all human beings; fourthly, the universal power to forgive sins; and fifthly, the universal work of salvation for all humanity, which is manifest in the fullness of the means of salvation. Thus he combines the geographical aspect of catholicity with the aspect of doctrinal and salvific perfection. The Catechism of the Catholic Church summarises the various layers of nuances of the word “catholic” in these two paragraphs: “The word “catholic” means “universal,” in the sense of “according to the totality” or “in keeping with the whole.” The Church is catholic in a double sense: First, the Church is catholic because Christ is present in her. “Where there is Christ Jesus, there is the Catholic Church.” In her subsists the fullness of Christ's body united with its head; this implies that she receives from Him “the fullness of the means of salvation” which He has willed: correct and complete confession of faith, full sacramental life, and ordained ministry in apostolic succession. 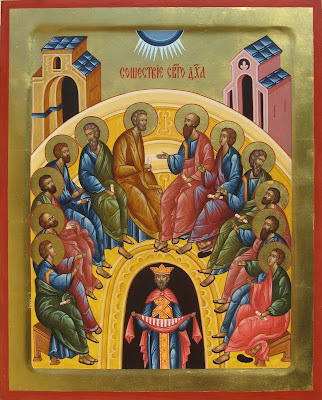 The Church was, in this fundamental sense, catholic on the day of Pentecost and will always be so until the day of the Parousia.” (#830) “Secondly, the Church is catholic because she has been sent out by Christ on a mission to the whole of the human race.” (#831). Though many continue to use the concepts of diversity, inclusion and catholicity interchangeably, you may have noticed that from the above definitions of the word ‘catholic', that there is no convergence between the various notions. The concepts of diversity and inclusion focus on ‘us’. Catholicity, on the other hand, focuses on Christ and His universal mission. When we prefer the former over the latter, we risk falling into the same trap of the people who attempted to build the tower of Babel, who strived to “make a name for (themselves); (saying) otherwise we shall be scattered abroad upon the face of the whole earth” (Gen. 11:4), the danger of erasing God from the equation. Diversity and inclusion, being purely human projects, eventually lead to greater fragmentation and polarisation. Catholicity, on the other hand, acknowledges that it is the work of the Holy Spirit that makes the difference, just as it is the gift of the Spirit on the Day of Pentecost which reverses the Tower of Babel divisions of humanity. After that “they devoted themselves to the apostles' teaching and fellowship, in the breaking of bread and the prayers” (Acts 2:42). Those are marks of catholicity and remain so with us today, “correct and complete confession of faith, full sacramental life, and ordained ministry in apostolic succession” (CCC #830). These are works of the Spirit to which Scripture bears witness, and there is no true or lasting unity without them. Our focus on catholicity needs to be restored - that even though we are different and scattered all over the world we are joined together in Christ because “there is one body and one Spirit, just as you were called to one hope when you were called; one Lord, one faith, one baptism; one God and Father of all” (Eph 4:5). There is no need to add any other ingredient into that equation. In the last precious moments of His Life before He was parted from His disciples to die, Our Lord Jesus Christ did not pray that they would be able to tolerate their differences while each sought his own vision of the truth and personal fulfilment. Nor did He pray that they would agree in everything. He prayed for them and “those who will believe in me through their word, that they all may be one”. But how? “As you Father, are in me and I am in you may they also be in us, that the world may believe that You have sent me.” (John 17:21). It is through our dwelling in Christ as the branches draw on the life of the vine (John 15:4,5), and His dwelling in us, that unity is given and made fruitful.. So if you wish to build unity, build up your relationship with Christ. It is this relationship with Jesus Christ, the risen Lord, that is the foundation of our life and work, without which there can be no catholic unity.